Logitech has announced the Prodigy series, a family of gaming gear that was designed to enhance the way you play. The new series, which includes two mice, a keyboard and a headset, all share the same attributes of high-performance technology, exceptional comfort, and a sleek and modern design. 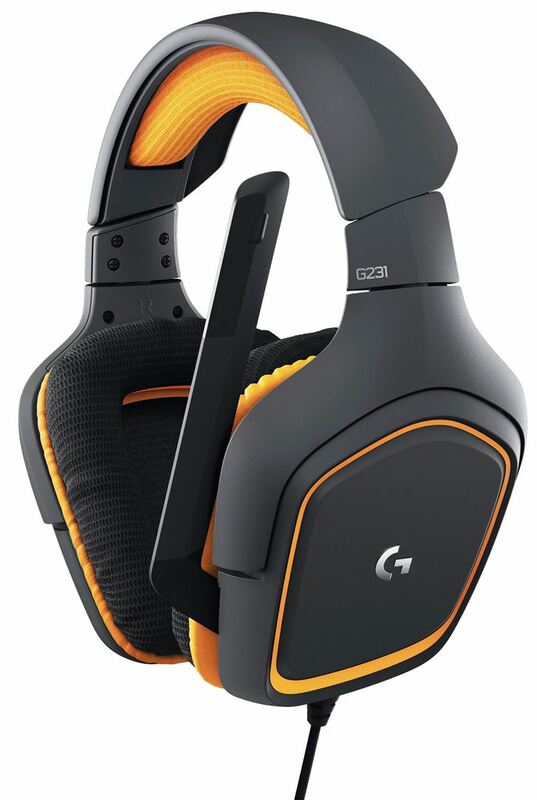 The Logitech G Prodigy series includes the Logitech® G403 Prodigy™ Gaming Mouse, Logitech® G403 Prodigy™ Wireless Gaming Mouse, Logitech® G213 Prodigy™ RGB Gaming Keyboard, and the Logitech® G231 Prodigy Headset. Designed for gamers of all levels, the G213 Prodigy keyboard features a sleek, spill-resistant design that is comfortable and durable. An integrated palm rest and adjustable feet let you set your keyboard to the ideal position, so it feels perfect during extended gaming sessions. The G213 Prodigy keyboard brings together the best in tactile feel and performance with keys built specifically for gamers. 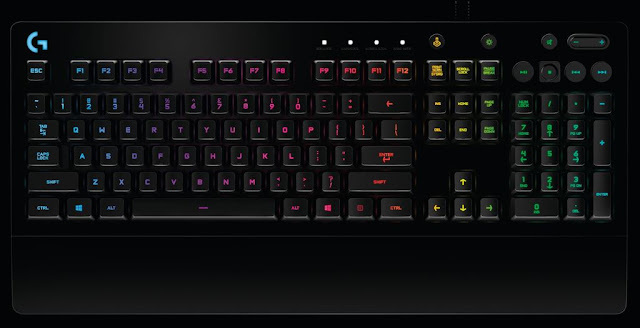 Each key on the G213 Prodigy is tuned to deliver ultra-quick, responsive feedback that’s up to four times faster than standard keyboards. Plus, its anti-ghosting gaming matrix is tuned for optimal gaming performance, keeping you in control when you press multiple gaming keys simultaneously. The G213 Prodigy keyboard features five RGB illumination zones that can be personalized from a spectrum of up to 16.8 million colors. Change colors to match your setup, specific games, or showcase your favorite colors, and synchronize lighting effects with other Logitech G devices using Logitech Gaming Software (LGS). Low light leakage around each keycap means more light comes through the lettering and less spills out around the keycaps, making it easier to find your keys in the dark. Additionally, the dedicated media controls allow you to play, pause, skip and adjust the volume of your music with a touch of a button, without having to switch out of the game. The G403 Prodigy Gaming Mouse and Logitech G403 Prodigy Wireless Gaming Mouse deliver long-lasting comfort, thanks to their lightweight, ergonomic design. Rubber grips on the left and right sides give you added control, and the included 10g removable weight allows you to increase the weight if you prefer a heavier mouse. Both mice are up to eight times faster than standard mice, which means when they are moved or clicked, the on-screen response is near-instantaneous. Each mouse has advanced button tensioning that helps keep the left and right mouse buttons primed to click, reducing the force required to click, delivering exceptional responsiveness. These mice feature the PMW3366, the world’s most advanced gaming mouse sensor, preferred by eSports pros worldwide. Exceptionally precise and consistent, the PMW3366 gives you the confidence of quicker responses and more accurate targeting. The mice can be used directly out-of-the-box, or with LGS you can fully configure the mouse to customize your lighting, buttons and DPI settings. 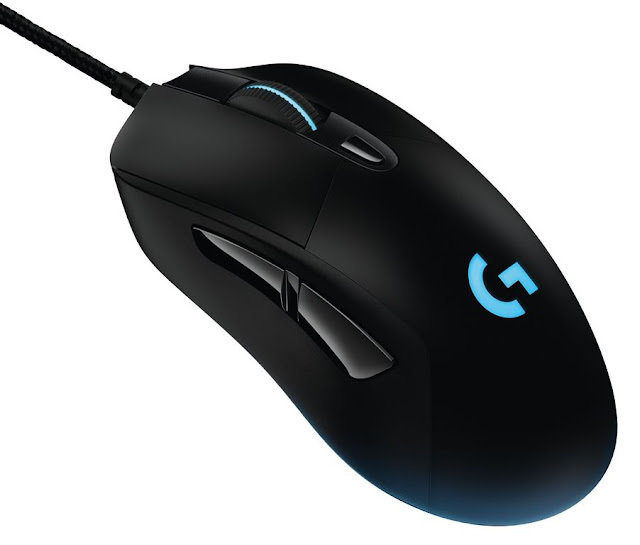 Specifically, the G403 Prodigy Wireless Gaming Mouse is equipped with the same energy efficient, high performance wireless technology as the award-winning Logitech G900 Chaos Spectrum. The highly optimized 2.4GHz wireless connection has 1ms report rate for incredible lag-free responsiveness that outperforms competitive solutions, including wired ones. Using 40 mm neodymium drivers, the G231 Prodigy Gaming Headset delivers high-quality stereo sound that keeps you immersed in your PC or console game from start to finish. The earcups are covered with carefully selected sports performance cloth for a comfortable, soft touch even after hours of use. And they slip off easily for washing to keep the headset in top shape. The earcups are also designed to be slim and light, without skimping on audio quality. A crystal-clear unidirectional boom mic can be positioned to pick up your voice alone, ensuring that you will be heard loudly and clearly. And when not in use, the mic can be folded back into the headphones. In-line audio controls for volume and microphone mute are within easy reach on the connection cable.